Última edición por A.P.M. fecha: 11-ago-2014 a las 10:29. Hace mas o menos un año tuvo un lavado de cara y ahora por lo que se ve en esas fotos, la nueva generación ya parece tener el diseño definitivo. No se aprecia practicamente nada pero bueno, ya irán saliendo mas imágenes. Oct 2006 | 8.167 Mens. Ya mismo le debe tocar el Sportage también. La verdad que va tan tapado que no se aprecia nada. Sep 2013 | 2.399 Mens. Al Sportage le hacen ahora un ligero lavado de cara, tan ligero que casi ni se aprecia. Para la siguiente generación calculo que le queden un par de años. Oct 2010 | 24.104 Mens. Espero que lo hagan parecido al IX55, porque el Sorento de ahora es horroroso. Y ese camión se prevee vender en Europa? es enorme! Será como el ix55, que ya se vende y que no tiene mala pinta en absoluto. El ix55 creo que no se vende en España. Sí lo hace el Santa Fe, que es el primo-hermano del Sorento y es una pasada, por cierto. Mar 2007 | 27.257 Mens. Si le dan las proporciones y lineas del Sportage, triunfo seguro. 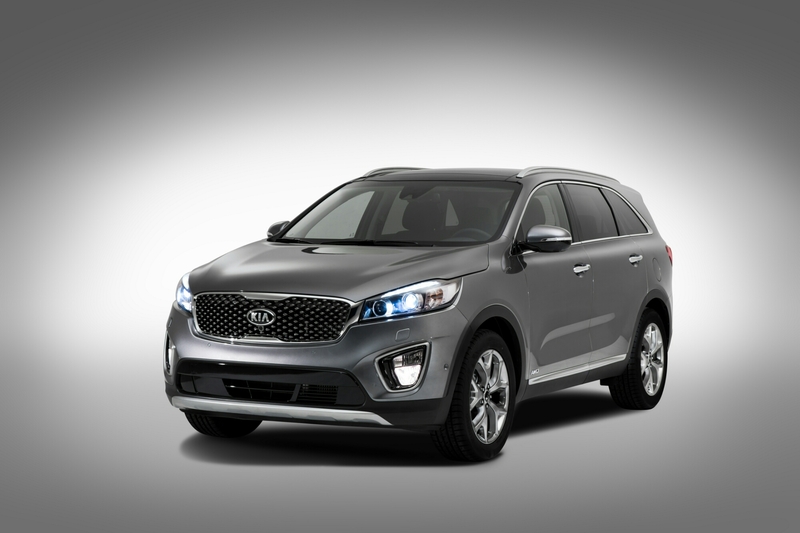 The third generation Kia Sorento's cabin will raise the bar for luxury in its segment, thanks to a modern, wrap-around dashboard, high quality soft-touch materials and a range of advanced on-board technologies. Together, these developments will enhance the ownership experience of the brand's popular CUV. Interior styling was led by the brand's design team in Frankfurt, Germany, which cited the finest modern Swiss watches as a key influence during the design phase. The smoothly-contoured cabin features a higher proportion of soft-touch materials, leather and stitching, as well as Kia's latest HMI (human-machine interface). A large infotainment screen dominates the center of the dashboard, which employs long, flowing shapes to envelope the driver and front passenger and to emphasize the width and space of the larger cabin. 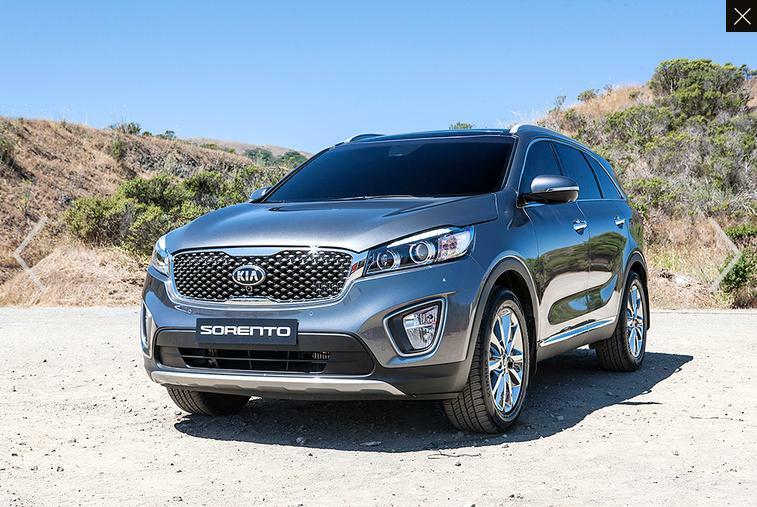 The all-new Kia Sorento will be showcased in Korea in late August, and is due to make its European premiere on Thursday 2 October at the 2014 Paris Motor Show. Ene 2004 | 60.185 Mens. Oct 2005 | 838 Mens. Me gusta, eso si, la trasera es muy parecida al de ahora. Este Sorento me parece horroroso. 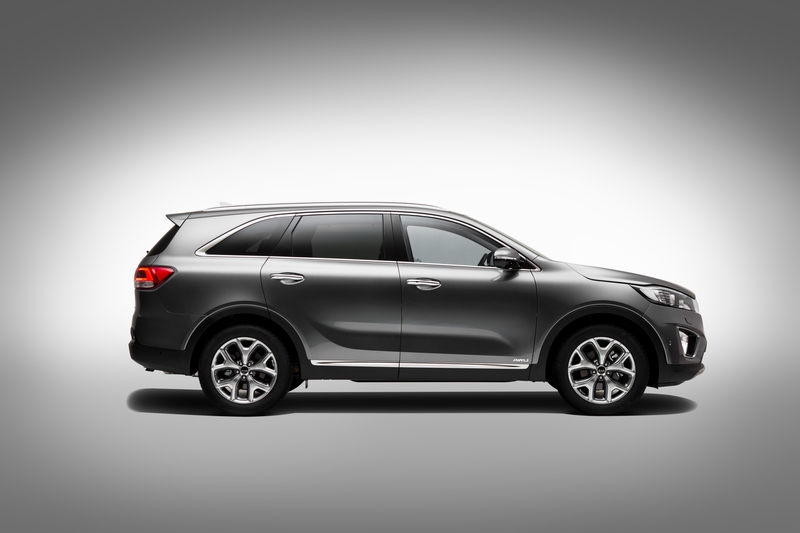 (SEOUL) August 11, 2014 - First photos of the all-new Kia Sorento released today confirm that the third generation of the popular SUV will feature a new look, with bold, swept-back styling and sophisticated surface detailing. The exterior styling of the new Sorento was led by Kia's Namyang design studio in Korea, with significant levels of input from the brand's Frankfurt, Germany and Irvine, California design studios. 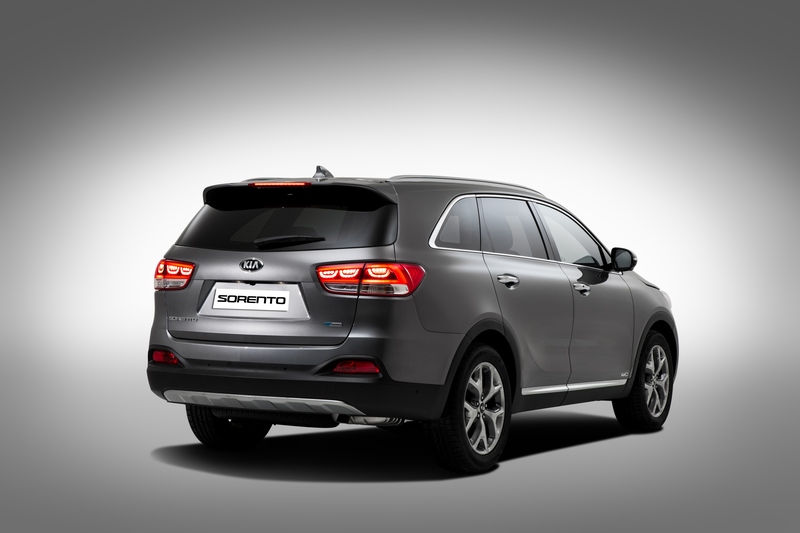 The front of new Sorento features a larger, more upright 'tiger-nose' grille, with a distinctive three-dimensional diamond pattern, and long swept-back headlamps. The lower roofline, higher beltline and , rounded shoulders at the rear give the car a dramatic appearance. The sleeker look is enhanced by an increase in length (+95 mm to 4780 mm) and a 15 mm reduction in height (down to 1685 mm), while the 80 mm longer wheelbase (now 2780 mm) ensures more passenger space in all three seat rows. Soon-Nam Lee, Vice-President of Overseas Marketing, Kia Motors Corp., said, "While we have retained the name based on the tremendous success of the outgoing model, the all-new Sorento has been completely redesigned and re-engineered, and promises to surprise customers with its thoroughly updated styling, a host of new convenience and safety technologies, as well as enhanced space, driving comfort and handling response." 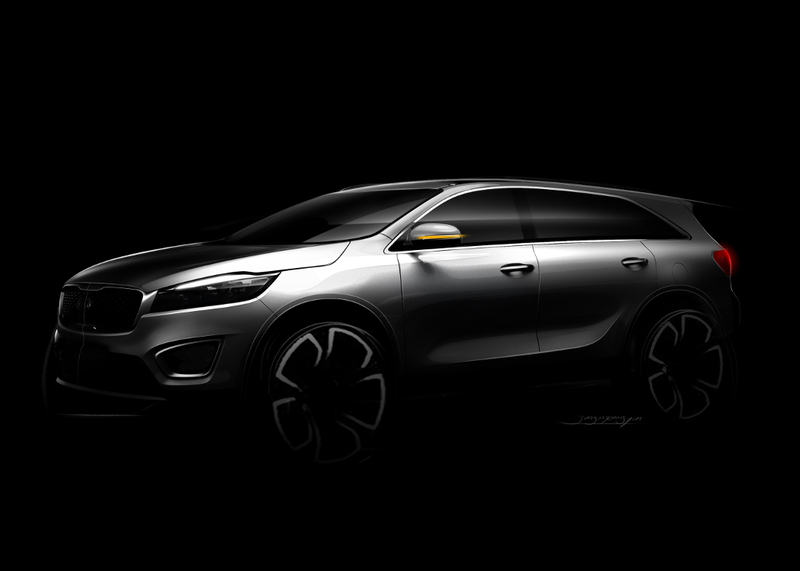 The all-new Kia Sorento will be showcased in Korea in late August and make its world motor show premiere on Thursday, October 2 at the 2014 Paris Motor Show. En estas ultimas fotos me gusta mas, ya hay fotos del interior, pero hasta el 28 o 29 no se pueden publicar. En el interior si que se ve un claro avance. Ni fu ni fa. Prefiero un Santa Fe o un Edge (dos de sus principales rivales).